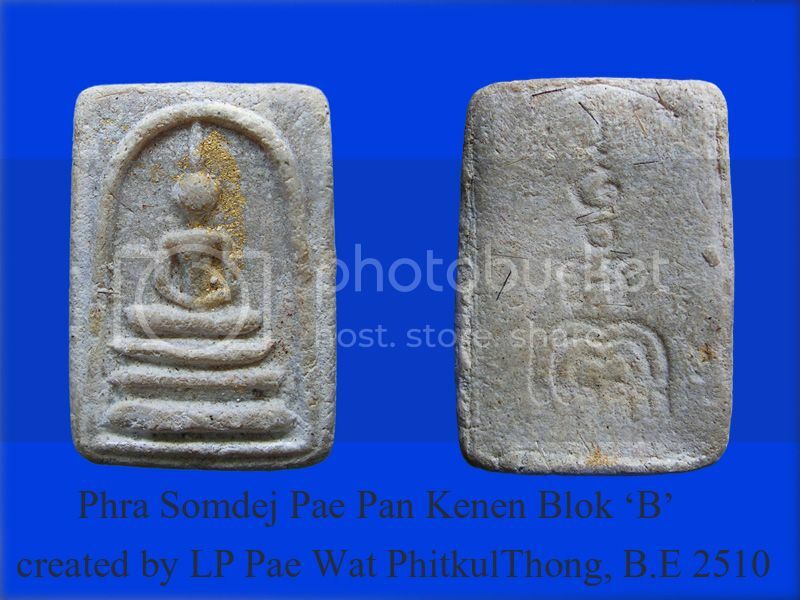 Phra Somdej Pae Pan Kanean Blok B, B.E 2510. 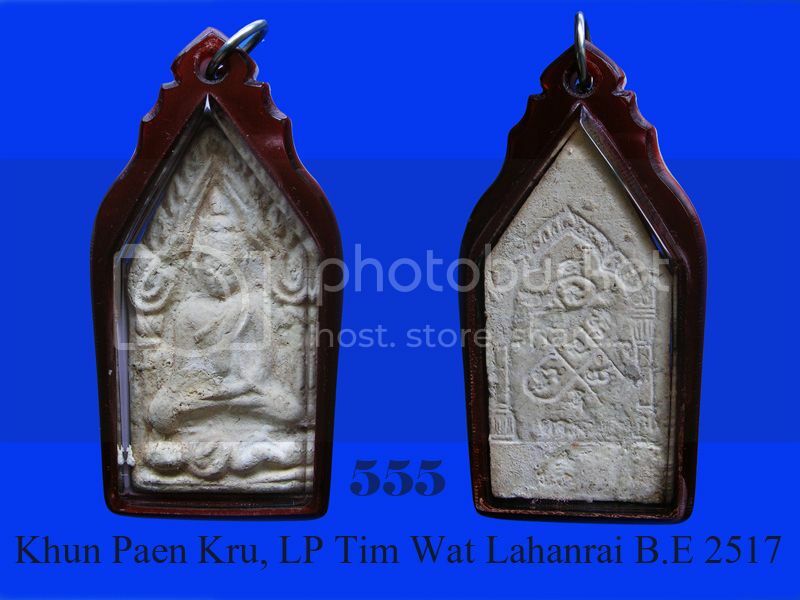 In the year of B.E.2530,the occasion of cerebrating the Thai King Bhumipol 60th years birthday, Wat Bavornnivesviharn had built “Phra kring Pawares” by using the Phra kring Pawares first batch which is left only one piece at the museum of Wat Bavornnivesviharn to create the mould and produced 25000 sets of Phra kring and Prachaiwat. 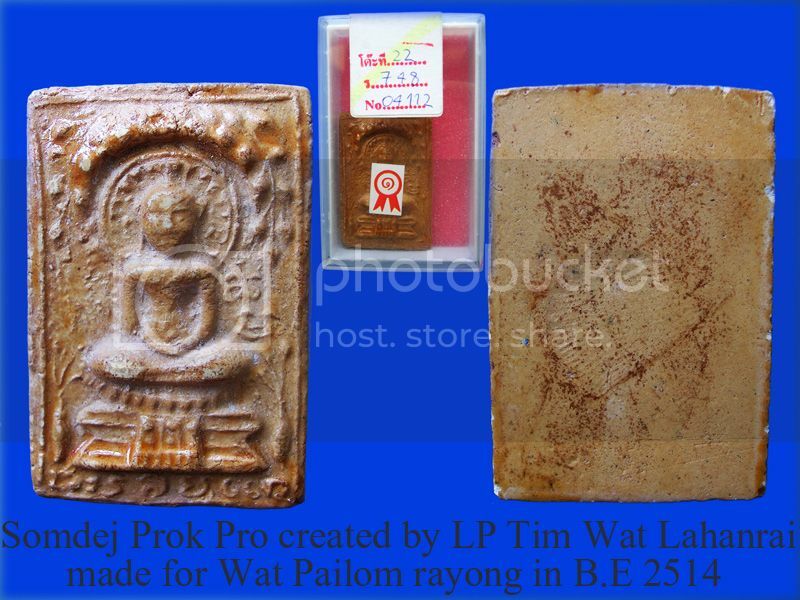 1)Gold and Material left from old batches of Phra kring Wat Bavorn. 2)Gold and Material left from making the buddha statue Phra Bhumiphol (Phor Por Ror). 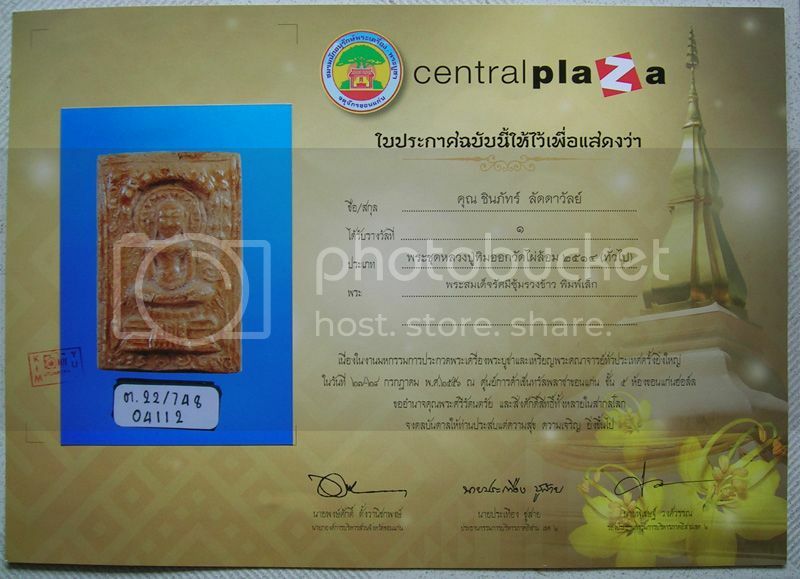 3)Gold and Material left from making of Phra kring Mongkolborpit. 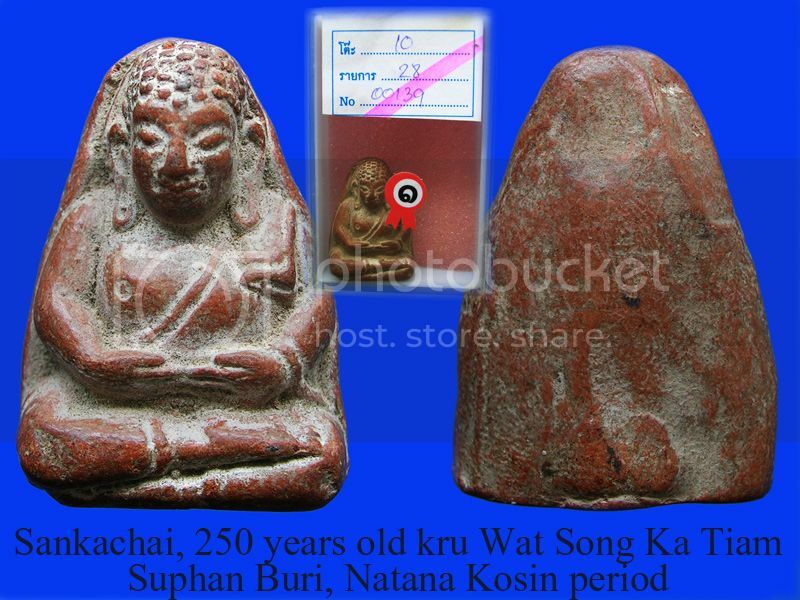 4)Gold and Material left from old Phra kring of Wat Suthat. 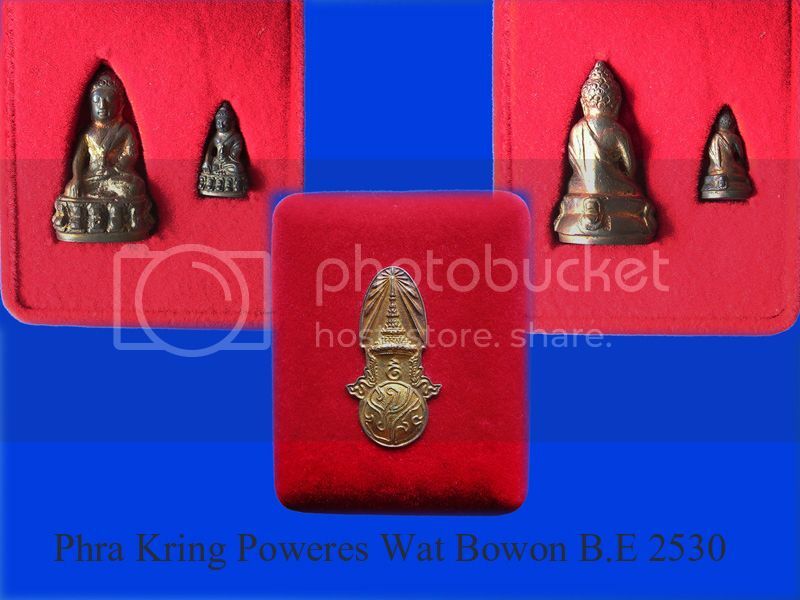 5)Gold and Material left from Phra kring created by LuangPu Toh Wat Pradoochimpee. 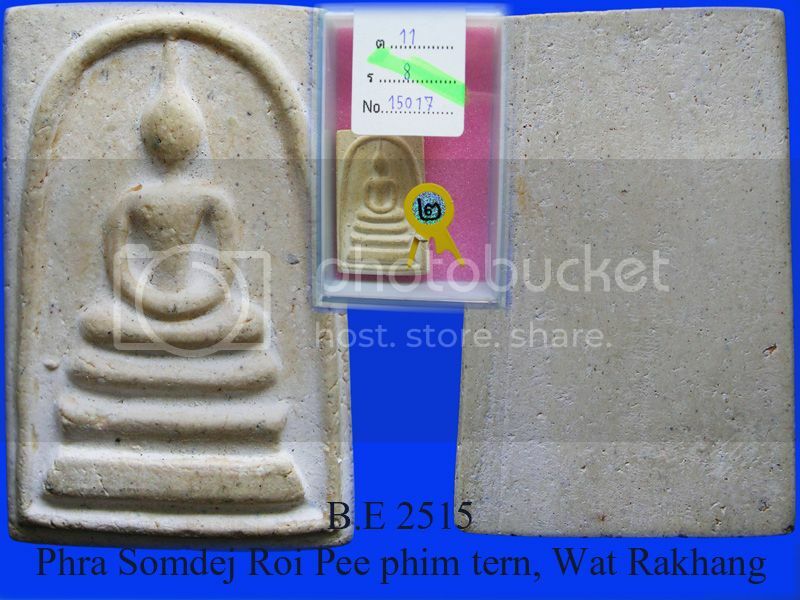 6)Gold and Material left from making Phra kring Dhamasart. 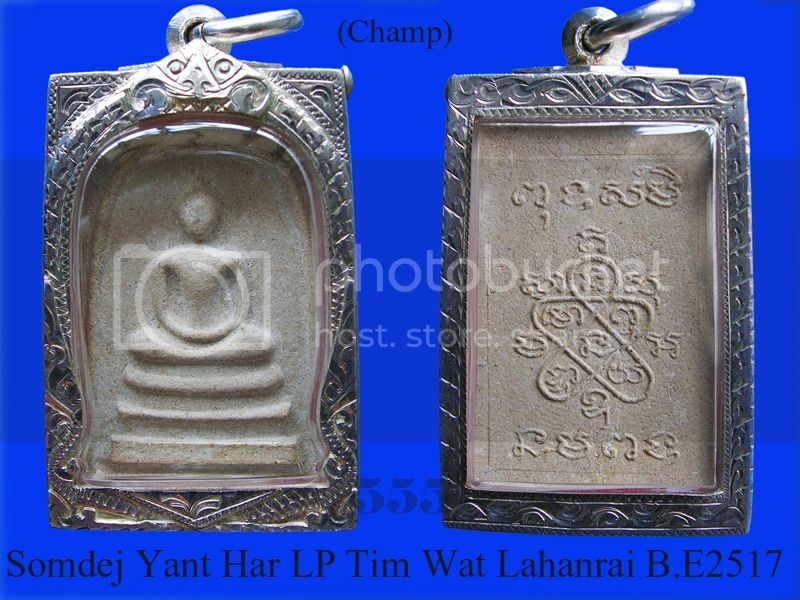 7)Gold plate written with Yantra from more than 108 popular monks in Thailand. 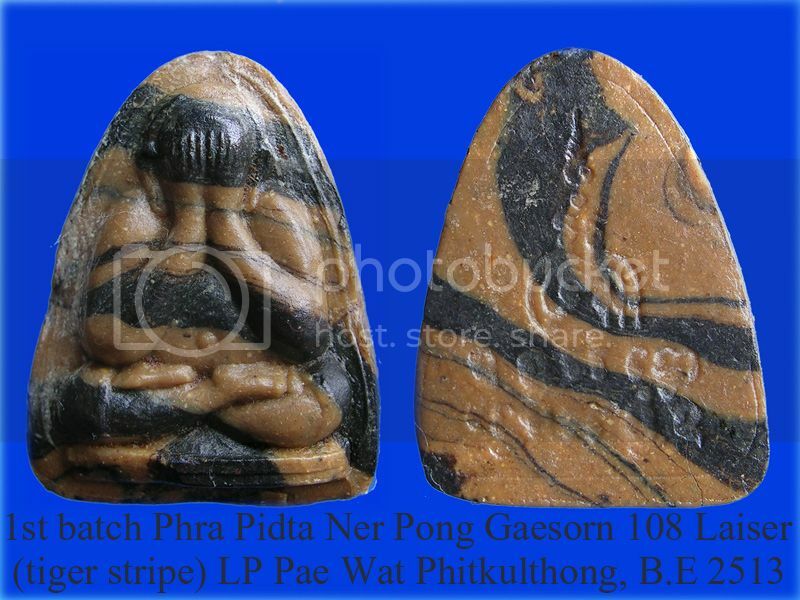 8)Every pieces of Phra kring Pawares Roon Song were inserted with Phra Phong Chitladat and hair of the Thai King Bhumipol. Phra kring Pawares had went throught 3 time of big consecration ceremony by Phra Somdej phra yannasangvorn. 1st at Wat Phra kaew and the 2nd and 3rd times at Wat Bavornivesviharn. From the above holy material mixed,ceremony conducted and the special occasion. 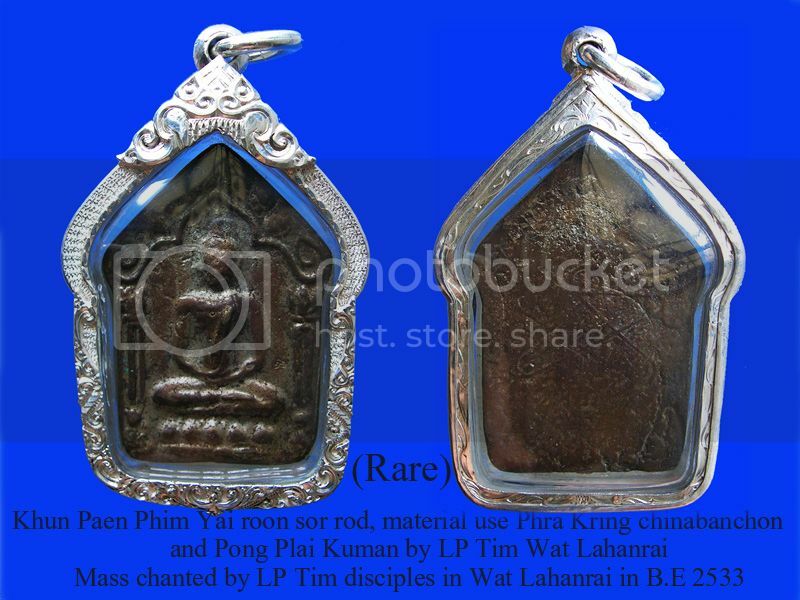 It is clearly seen that this a collectible batch of Phra kring amulet. Sold! Thank you bro h.
Last edited by 555; 15-06-2015 at 11:24.